Marco Polo was a 13th century Italian explorer who traveled all the way to Beijing and passed through many countries. He wrote a book which we know today as "Travels of Marco Polo." Christopher Columbus was a ...well, you should know him. 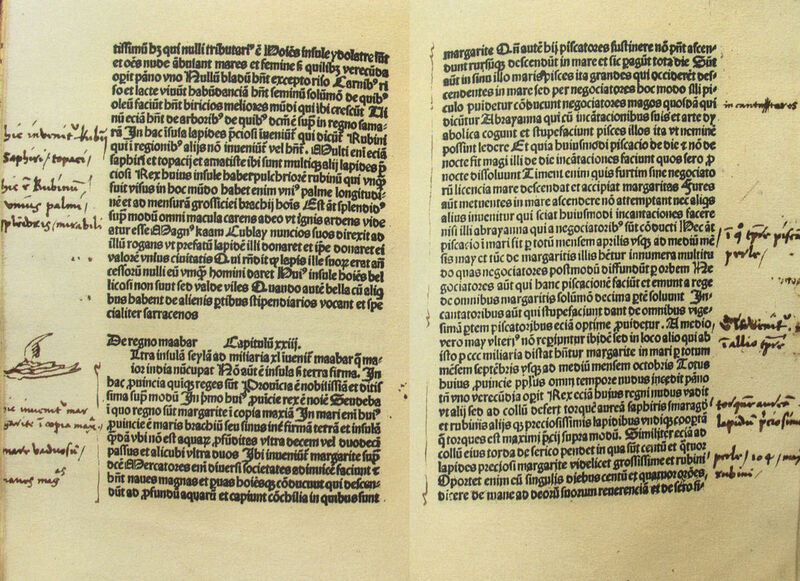 This photo shows two pages of Columbus's copy of Polo's book, printed in Latin. You can see Columbus's handwriting in the margins.